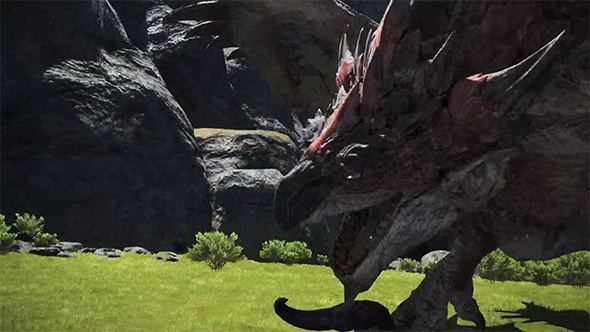 The brief trailer doesn’t show much, but does show a palico guide making its debut, the arrival of a Rathalos to be hunted, and a group of FF14 players teaming up to take down the creature. We don’t know much more just yet, but the crossover is set to launch this summer. This will be late game content for existing players, requiring a character at level 70 who has completed the main scenario quest of Stormblood. Log in and spend your hours on all the best MMORPGs on PC. Square Enix promises more details soon, but for now you can keep up by having a look at the trailer. This all follows the 4.3 content update, which brought the Ivalice raid Ridorana Lighthouse to the game as well as a new companion app. It sadly seems that we’ll get this crossover before we see Monster Hunter: World’s PC port, which we still don’t have a firm date for. Even without the benefit of a home computer version, it’s still managed to be Capcom’s best-selling game ever, so it’s little surprise to see its contents spilling out into new crossovers.